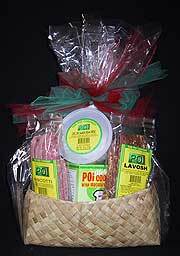 Poi Gift Basket - We Delivered..! Although The Poi Company, Inc. closed its doors in May of 2002, I still get frequent e-mail messages: "Where can I buy poi? I live near Wilmington, Delaware." We didn't succeed in bringing Poi to the World. I personally maintain this website to at least bring the poi message to the world. The various Google ads you see on the right of this page (and others) just about pay for the cost of hosting the website. If any of the Google links are of interest to you, please click on them. In doing so, you will help to keep this website going. Back to the question of poi, and where to get it. As many of you know, poi has a relatively short shelf-life, measured in days. As a result, fresh poi needs to be shipped by FedEx, UPS, or other fast courier. This means that most retailers on the mainland won't stock it, unless they have a large local contingent of expatriates from Hawaii. And these communities tend to be on the West Coast: Seattle, Los Angeles, and particularly Las Vegas. There is always dehydrated poi, made by Taro Brand. It can be ordered on their website, and can be stored for ultimate use. Personally, I never liked the stuff. I thought it tasted like they'd dried out sour poi: but I don't know how they make the stuff. 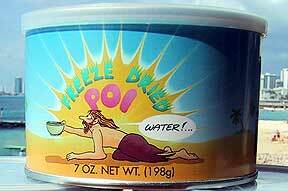 If you're having a luau for mainland guests, and they probably won't like poi anyway, the dehydrated stuff is fine. 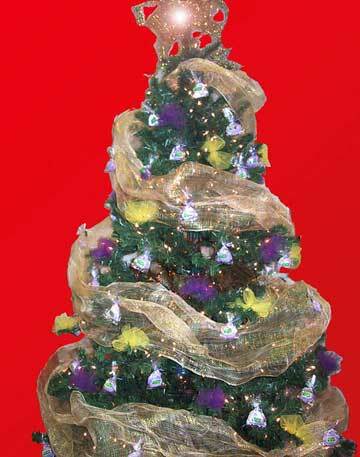 It will look the part, your guests can try a little bit and go "yuck," and all will be well. We made freeze-dried poi. We shipped fresh poi (flash-frozen) to Portland by air cargo, had it freeze dried there, and then shipped it back to Hawaii. I think reconstituted freeze-dried poi tastes like the real stuff. I have two of the last cans in my cupboard, and I'm reluctant to open them. If you want poi that really tastes like poi, or if your guests know what poi should taste like, you'll probably need to get fresh poi. You can order this online from Hanalei Poi on Kauai. And what about Poi Cheesecake? Or the Lomi Lomi Salmon Cream Cheese? Poi Biscotti? Poi Lavosh? And our flavored Squeeza Poi --- we did flavors that ranged from pineapple to chai tea, from banana to cinnamon. Sorry, I don't know where you can get these. You can, however, still buy Poi Dog Treats. Okay, they're made in England now, and with taro purchased from Viet Nam. But they're made with the formula created by Dr. Moser, a vet and canine nutritionist. Your dog will love them. 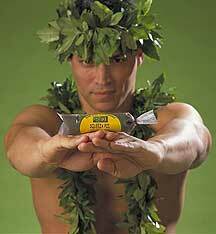 We have recently heard that Haleiwa Poi apparenlty now makes a powdered poi that reconstitutes well. Please see the separate article. If you have any poi recipes you'd like to share, please e-mail me and I'll post them on the website. And if you have updated knowledge about how to get poi, please let me know and I will also post this. Visit our friends at Luxotica if you want to buy fire poi, made for dancing.